Revision period is finally here. That means I need to prepare myself for the exams!! Cannot believe how much this semester was just ended. My thought on this semester was that not much things were needed to do at the beginning but it was getting much busier at the end! I am glad I still managed to do all the assignments and projects on time. 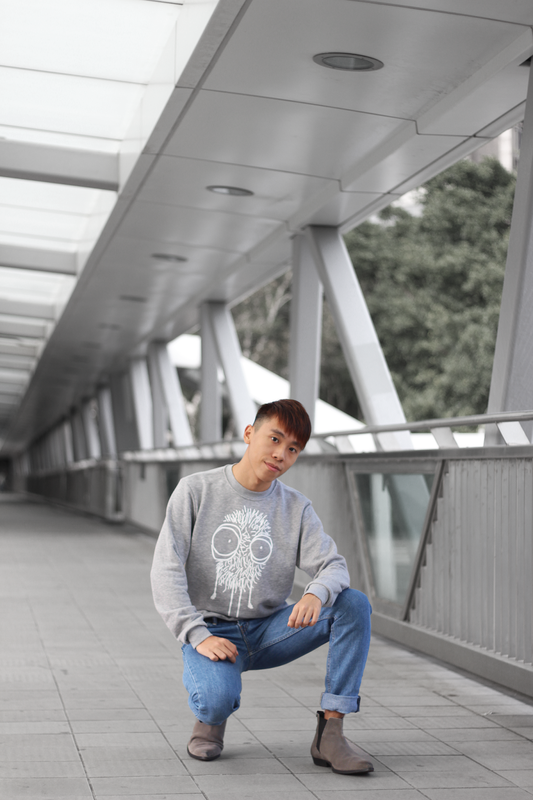 For today's post, I am so glad to collaborate with my favourite brand Quipster to share this look with you guys. I believe everyone need to own cute tops on your wardrobe. 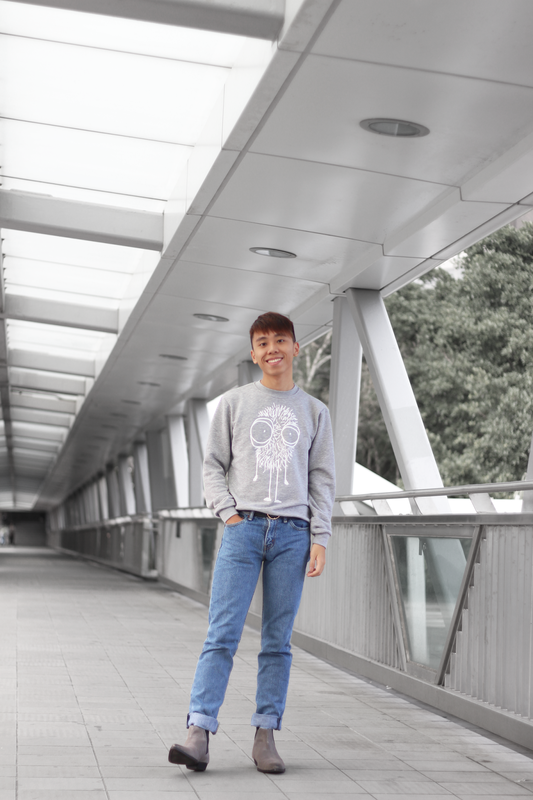 This grey sweatshirt is just so perfect! Also, it is super comfortable. If you want some cute prints, you definitely need to check out Quipster. They always make the best cute print for sweatshirt, t-shirt. 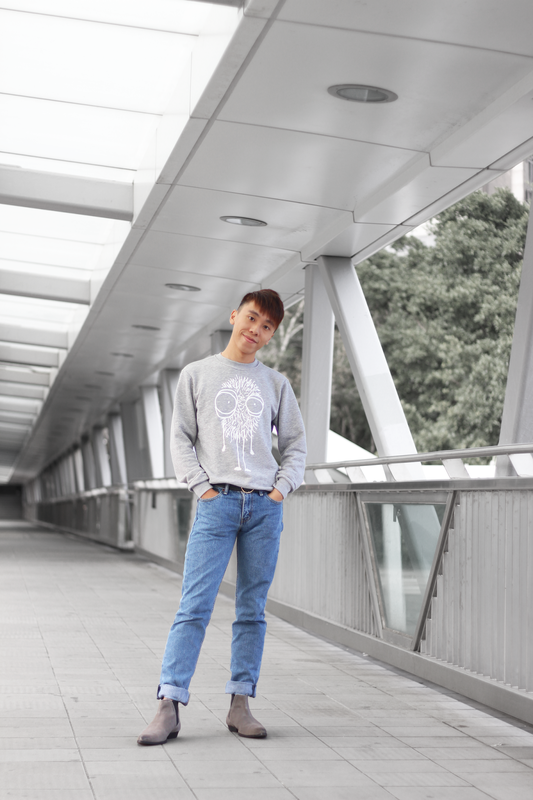 I pair this sweatshirt with blue jeans and grey boots to make the whole outfit more put-together. Do you guy love this look? Let me know on the comment section! Love how your paired the sweater with grey boots! Those boots are great for every stylish man, and yo are looking amazing as always! What a grat outfit. I love your trousers, they look so oldschool. Love your outfit! 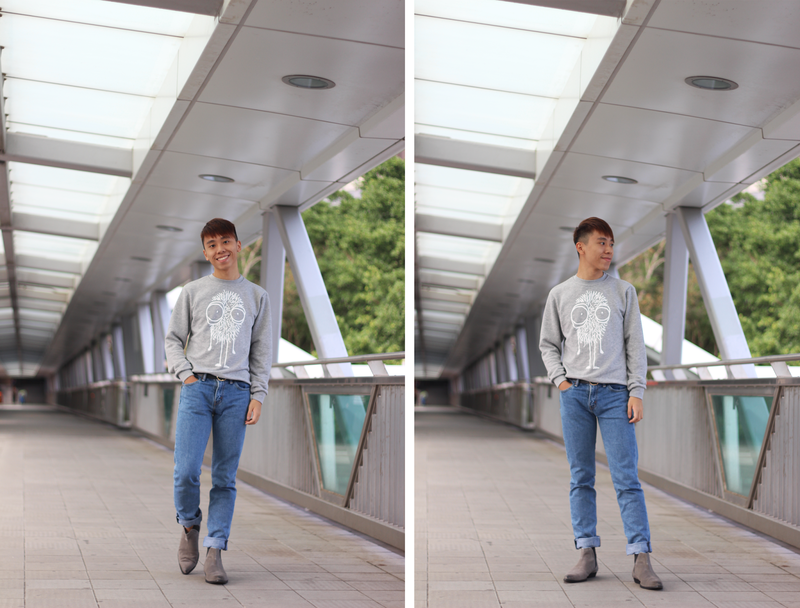 Love the grey combo with the lighter wash denim, and the print on the jumper is really fun!